There are a lot of different things that go into PCB fabrication and assembly. That’s why, if you’re not careful with the choices you make, you can end up with an expensive quote. The good news is that you can adjust your board assembly request to get a better quote for your project. You just need to know what factors are impacting your PCB assembly quote. What factors impact the quote for my PCB assembly? The cost of prototype PCBs varies depending on project parameters. For example, standard PCB sizes will typically be less expensive than custom dimensions. The size of the PCB. As we said before, the size of the PCB requested can have a big impact on your quote. Standard PCB sizes work well for the majority of applications. But sometimes you might need a larger PCB, which can increase the cost of your quote. The number of PCB layers. Your quote can go up depending on how complex the layers are for your requested board assembly. For instance, the most complex circuit boards can have 42 layers. But standard multilayer PCBs have four to 10 layers. If you’re trying to lower your quote, take a look at how many layers your prototype circuit board really needs. The thickness of the board. It’s true the number of layers your PCB has impacts its thickness, but the actual thickness of the board is measured in ounces of copper. That’s why a thicker board will have a higher quote because there’s more copper used in the board assembly. Consider how many ounces of copper your PCB manufacturing company uses. 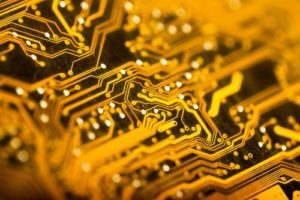 Many PCB designers use between 1 to 2 ounces of copper. But some manufacturers provide up to 6 ounces of copper. Looking for a quick turn PCB assembly service? Even simple PCBs require 11.6 physical prototypes on average. More complex PCBs require up to 16.1 physical prototypes. This ensures the PCB manufacturing is on point. If you’re looking for quick-turn, prototype printed circuit board assembly service, Advanced Assembly is the PCB assembly house for you. To learn more about our board assembly process, contact Advanced Assembly today.